With cold winter mornings dissipating and uncontrollable weeds popping up in the garden, we all breathe a sigh of relief because spring has sprung! What better time is there to get out in the sunshine and move our bodies after the winter ‘hibernation’ months? 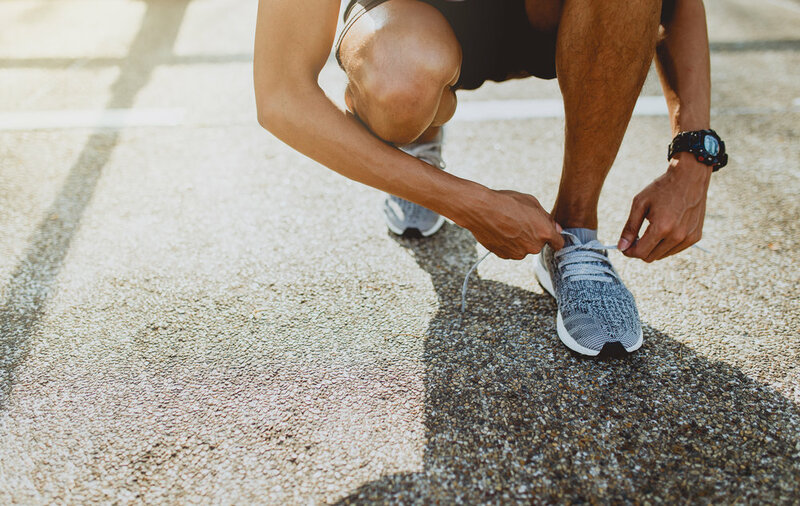 It can be difficult to get back into regular exercise but with the following tips, we hope to put you on the right track to stronger feet and healthier bodies as the weather warms. We can’t expect our feet to support our bodies through exercise if they aren’t equipped with the right support. Different activities will require shoes with different features; for example, hiking has quite different demands on the feet compared to playing a game of netball. One shoe may not provide the support, grip or feel for all of your needs. Depending on your level of activity, you may need to purchase more than one pair of shoes for different activities. Where should I purchase my shoes? It is recommended that you shop for your exercise shoes at a specialist sports or running store who are specially trained in shoe fitting. Discuss your level of activity with them and what you plan to do with the shoes (e.g. running). They should be able to assess your foot type and recommend the best type of shoe for you. How do I get the best fit? To ensure your new shoes are a good fit and are comfortable, have your feet measured and try on more than one shoe. Go shopping with an open mind, not having your heart set on one brand or model. Be open to what feels best in width, depth and length. As a general rule should have at least one thumb's length between your longest toe and the end of the shoe when you are standing. Also ensure that you have adequate width and depth to accommodate your foot shape. It is recommended that you shop for your new shoes in the afternoon, because this is when your feet are at their biggest (did you know your feet swell during the day?). Warming up increases blood flow and circulation throughout the body. This enables your muscles to contract more effectively and reduces the risk of tearing / straining muscles by increasing their suppleness. Begin at a low intensity and gradually build up the intensity of the activity. Stretching increases flexibility and maintains muscle balance on either side of joints. If muscles are not stretched they will gradually lose flexibility and may fail to respond effectively during physical activities. Stretching can also reduce tension, promote circulation, assist with coordination and assist recovery. Cooling down your muscles after exercise helps to reduce muscle soreness and stiffness. It also enables you to perform same level activities again within a shorter period of time. A 2-3 minute brisk walk immediately after sport / intense activity or 5-10 minutes of stretching will cool down your muscles. For detailed stretches and more information download this brochure from the South Australian Sports Medicine Association - Injury Prevention and Management. With supported feet and well-cared for muscles, your feet will thank you and your body will be on a healthy journey to the end of 2017.